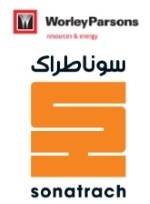 édité le 19/03/2019 - Plus de news de "WorleyParsons" - Voir la fiche entreprise de "WorleyParsons"
WorleyParsons has signed a five‐year framework agreement with Sonatrach in Algeria. Under the agreement, WorleyParsons will provide project management services to support Sonatrach’s plans to develop its oil and gas production capacity over the next five years across a number of key projects. Sonatrach is Algeria’s national oil and gas company and is regarded as the largest Algerian company. Sonatrach has previously announced its strategy for a significant investment program largely centered around the natural resources sector and, in particular, the oil and gas sector with the goal to become the fifth largest national oil company in the world (SH2030). “We look forward to working with Sonatrach in support of its SH2030 strategy”, said Andrew Wood, Chief Executive Officer of WorleyParsons. Voir la fiche entreprise de "WorleyParsons"
Les dernières news de "WorleyParsons"
Toutes les news de "WorleyParsons"